SPs Car Repairs opened its shutters in 1982. Although the garage has changed greatly since then, the functions and dedication to our standard has never to be changed. It always work the same and will always do.. We provide cheap and effective repairs to all kinds of car makes. The Repairing section includes servicing, clutches, engine overhauls, head gaskets, exhausts, Tyres, four wheel laser monitoring, M.O.T, Air Conditioning and more. We have been running our service with five repair bays, four ramps along with three technicians, one trainee, one system administrator and a staff. 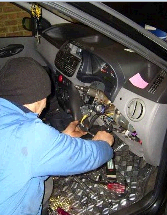 We are completely prepared with the modern diagnostic equipment and tools and computers for general mistakes covering any vehicle from the past 2000. 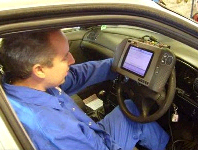 We are furthermore, approved by VOSA to carry out M.O.T testing on all cars and light commercial cars, motorbikes & Black Cab/Taxi Cabs both petrol and diesel. Air conditioning, Servicing, Exhausts, Brakes, Clutches, Gear Boxes, Tyres - Fitted & Balanced, Computer Diagnostics, MOT, Motorbike MOT, 4 Wheel Laser Tracking. We offer affordable and competitive repairs to all types of vehicle makes. We also aim to complete all work within the same day allowing you to return to the road in your own vehicle ASAP.All our mechanics are highly qualified and skilled with many years experience, capable of assisting no matter what problems your vehicle has.After the work is complete we road test each vehicle to ensure they are running safely and smoothly.